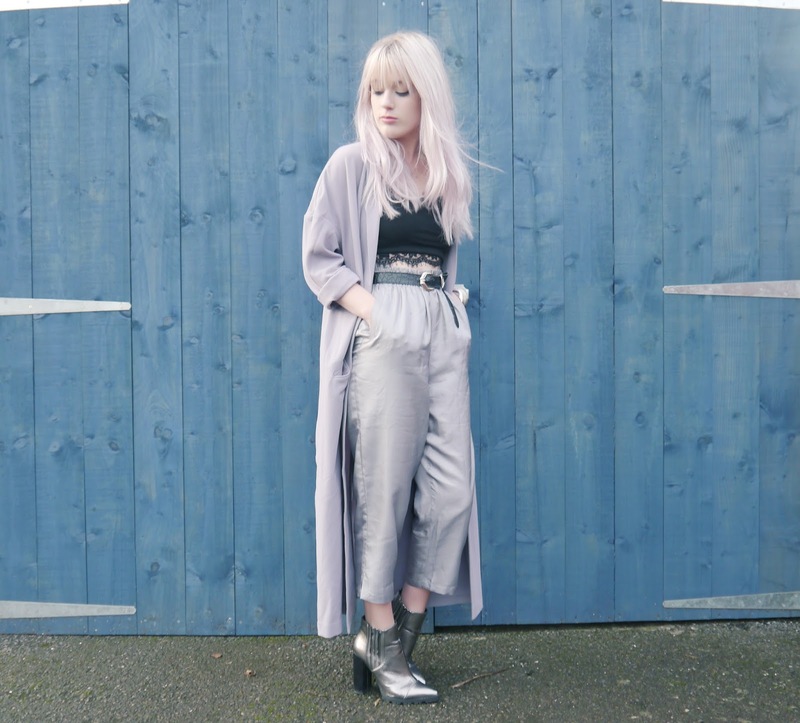 I'd been lusting over these silk trousers for months, but I just couldn't bring myself to spend £70 on them. However, it seems that the ASOS fairies were on my side: on a whim the other week, I decided to see if they were still in stock and low and behold, they were half price! I took it as a sign that I just had to have them. 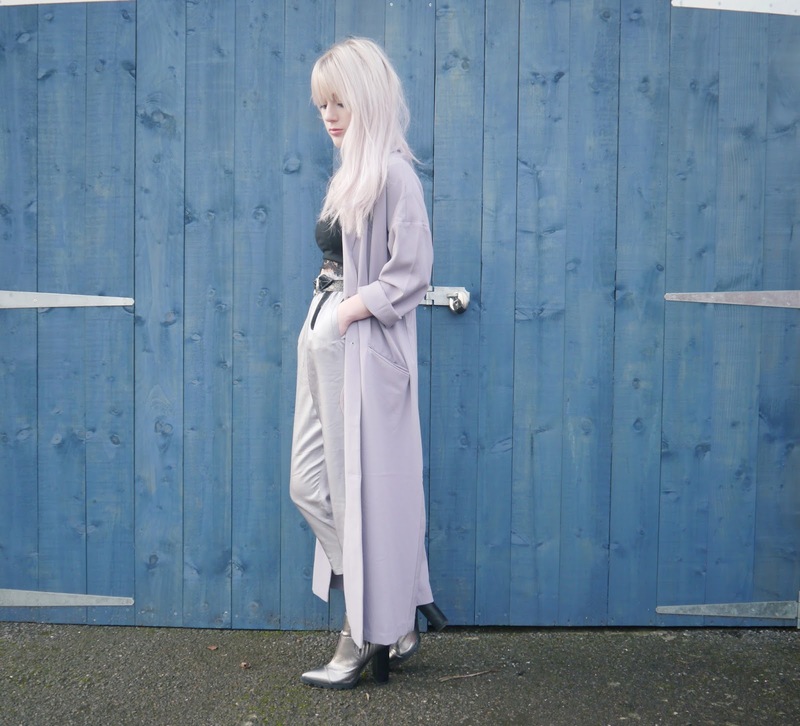 I love the colours in this outfit, it pretty much consists of all my current favourite items - my silver boots and lilac coat especially have become firm favourites in my wardrobe, now I'm lusting over a chunky black duster coat to see me through the colder months. 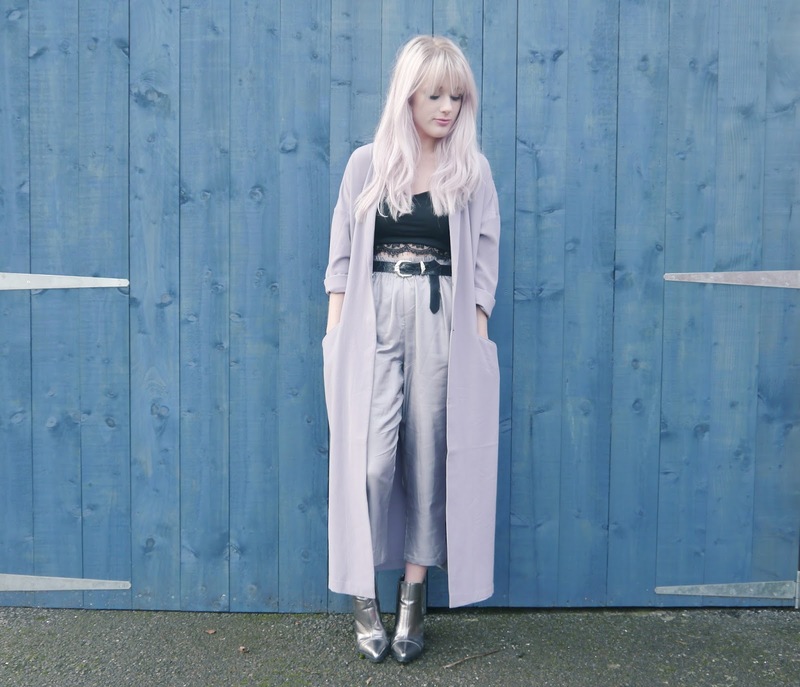 I really want to try more looks with trouser styles like this, I'm currently lusting after this tartan pair and this pinstripe pair, both from Forever 21! Awesome look, love the colors! Love this! Those trousers are so so so cute!